After trying the Kiehl’s Iris Extract Skin Essence, I knew I wanted to try some alternatives. It was the first skin essence I tried and it was a product I had never used before. So what is a skin essence? 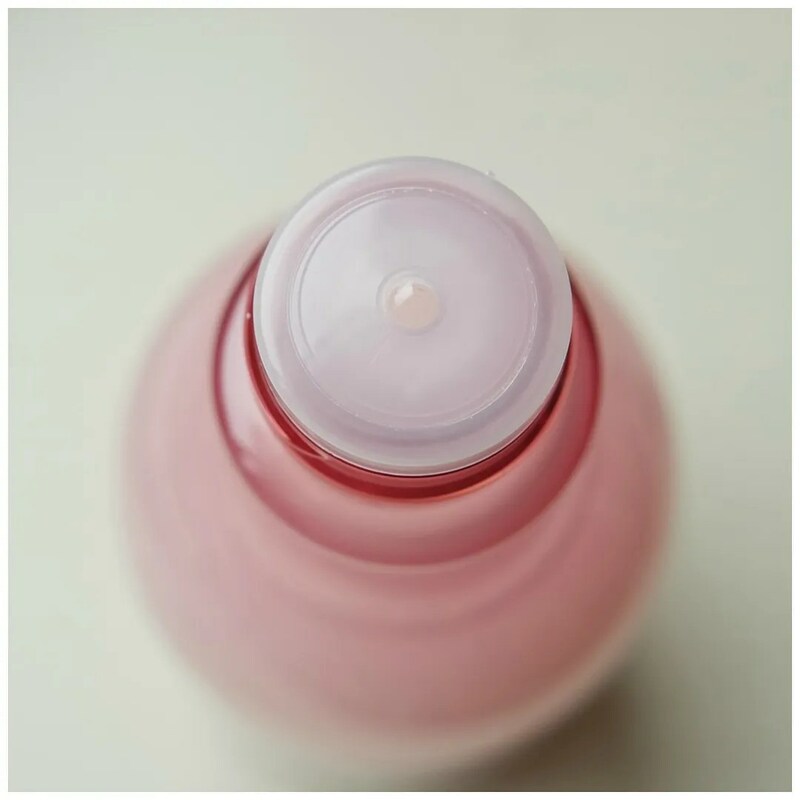 It is a step in your skincare routine that you apply after cleansing but before moisturizing. The product helps to have your skincare sink into the skin much better. If you have dry skin like me, it’s an absolute life save. So how did I fare with this The Body Shop version? The reason why I wanted to try this is because it is much cheaper than the Kiehl’s version. This is €15 for 160 ml, whereas the Kiehl’s product costs €43 for 200 ml. 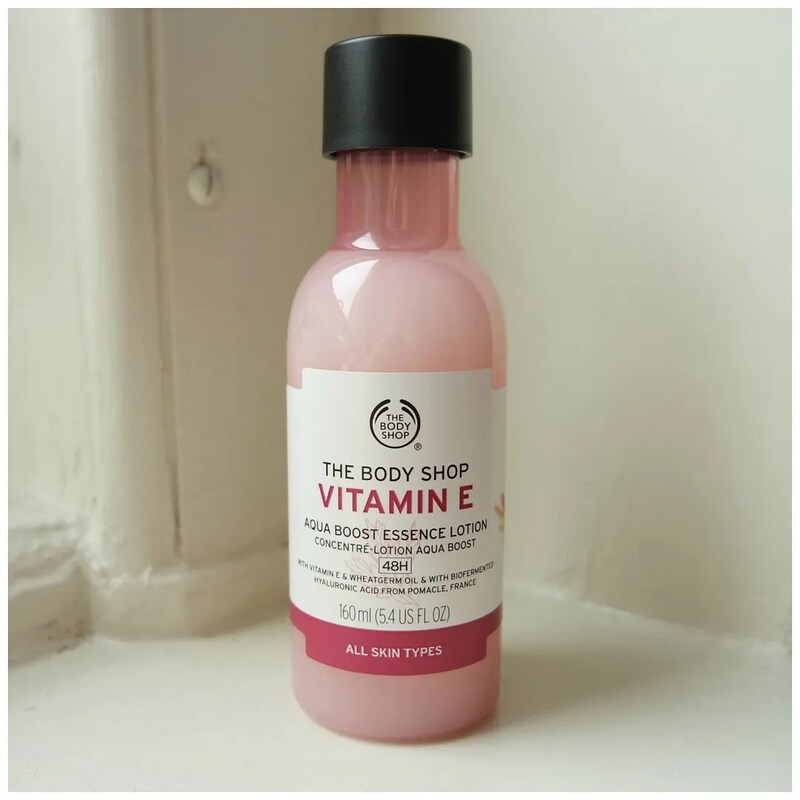 I have tried other products from the Vitamin E line and have loved them enough to repurchase. In short, I was excited to try this and see if I liked it as much as the much more expensive version. What is also good to know, is that The Body Shop now does this in 4 other versions. They do one in their Roots of Strength, Drops of Youth, Oils of Life and Drops of Light lines as well. Depending on your skincare needs, there is an essence for everyone. What’s more is that they all retail for the €15-€17 mark. In terms of packaging this is a nice looking product. Not too long ago, The Body Shop restyled all of their packaging and I think it has been for the better. What I like about it is how it looks quite sleek, yet the branding and what the product actually is, stands out quite well too. The bottle comes with an opening and I like using this just as it is. I simply pour some of it into my hand and apply it to my cleansed skin. You can also use this on a cotton pad if you like, but I feel that wastes quite a bit of product as most of it is soaked up by the cotton pad. I would rather not waste the product and I just rub it between my hands and then rub it all over my face. I like to let it sink in a little bit before I move on to the next step. 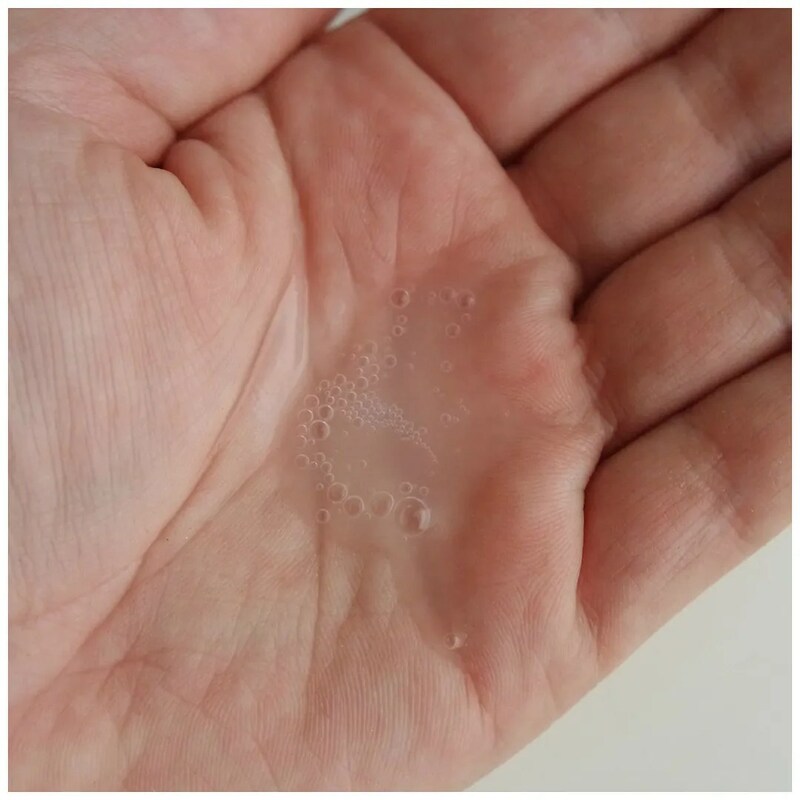 The product looks a bit, ehm, weird once you pour it onto your hand. It has a surprisingly thick texture. The Kiehl’s one was the consistency of water. This has a gloopy texture to it. It is still watery, but you can tell something else is mixed into this to make it thicker. Personally, the texture just feels a bit off putting and I would prefer the Kiehl’s over this. While this isn’t a problem for how the product works, it does influence how much product I use. While this may be cheaper, I am also going through it a lot more quickly too. I have been using this just a few months now and I’m nearly 2/3 of the way through using it up. The Kiehl’s Essence may be much more expensive, but it also lasted me nearly 2 years with daily use. Does the product work though? Yes it does! This layers well under my skincare, it feels nice once it is on my skin and it isn’t too fragrant. It is easy to use and I haven’t noticed a difference in my skin becoming drying or reacting negatively to this, even in the dead of winter. Most The Body Shop products I try I absolutely love. While this product gets the job done, the texture just throws me off. I also don’t like how quickly I am going through this. 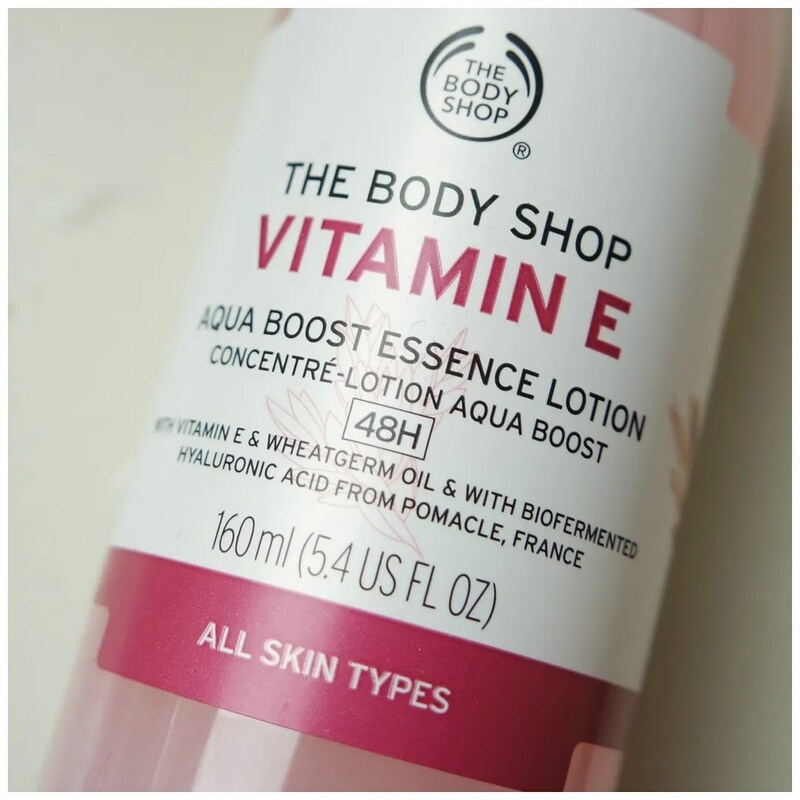 So while The Body Shop Vitamin E Skin Essence is cheaper than the Kiehl’s and works very similarly on my skin, I am still on the fence whether I will repurchase this. Maybe I’ll just try one of the other essences they now have on offer. Have you ever tried a skin essence before? It’s pretty decent and definitely worth a try. I haven’t actually and I am not entire sure where serums come into play when using this…hmm, I might have to research that further. I have seen this product though and I was tempted to go buy it, but the shops put me off life nothing else. The Body Shop might have great products, but I miss out due to bad shop experiences. This product did catch my attention and after your review I want to learn more. It is layered under a serum in fact. I felt like it wouldn’t do much, but my skin has felt great ever since I’ve been using a skin essence. I have never had a bad experience in a TBS store. But maybe that’s because I went there so often at a point that they started to recognize me. thanks for clarifying. I am also glad that you never had to endure the redness of the employees. I guess it depends on which store you frequent as well. I tried only the two – Kensington and Oxford St in London. I should try again, but now I resort to online shopping when I really want something, but you know how that goes when you don’t get a chance to try out the product beforehand. Yeah I prefer to test it out too. It’s why I am not greatly into Lush. There is no store near me. I have this and am using it now but I don’t love it either. I find it doesn’t absorb quickly, and there’s something in this product that stings my skin especially the really dry parts. I have used this with those DIY sheet masks and it works nicely for that. I wouldn’t repurchase this once I use it up. I don’t think I will buy this exact one, but now that they do different ones, I am intrigued to try one of those. Still, I’d much rather repurchase my Kiehl’s one.